Welcome to BLCF and our Sunday morning Praise and Worship Service, and our lesson today is entitled: ‘The Miracles and Parables of Jesus’. The disciples recorded that throughout his ministry the Lord frequently performed miracles and made use of the parable. In our lesson today we will examine why Jesus used the miracle and the parable. While a miracle is doing something that is beyond the laws of nature, a parable is a metaphor used to teach a spiritual lesson. An example of a metaphor would be suppose I ask sisters Corine and Amy to come forward and stand by the pillar to my right. If I refer to my two sisters in Christ as being “pillars of the Church” – we know that I do not mean that they are the same as the alabaster pillar beside them which is holding up the roof, which the literal meaning of the description. The expression is a metaphorical statement that these ladies are key members of our congregation, which is part of the greater bodies of believers who are Christ’s Church. Scholars have attributed a wide assortment of often conflicting reasons for these miracles. These reasons range from the miracle being just an illustrative talking point in the teachings of Jesus to the miracle itself being dismissed as a parable of something more mundane. It seems that many of these authors seem to have neglected one of the most compelling and authoritative sources in researching their writings on the miracles of Christ, the Bible. We see that when the Lord returns to the Upper Room, eight days after his first appearance so that Thomas would believe in the miracle of the resurrection. John acknowledges that there were many other signs or miracles not included in his gospel, but those that he did include, we done so that we may believe that Jesus being the Christ, the Son of God, and by believing this, we too may have life in his name. In the times of Jesus and the disciples, the Scriptures give us many accounts of false prophets of God, who used so called magic sleight of hand to either challenge His authority or as a demonstration that they have been called as a disciple of God. Both are false. 8 Then the Lord said to Moses and Aaron, 9 “When Pharaoh says to you, ‘Prove yourselves by working a miracle,’ then you shall say to Aaron, ‘Take your staff and cast it down before Pharaoh, that it may become a serpent.’” 10 So Moses and Aaron went to Pharaoh and did just as the Lord commanded. Aaron cast down his staff before Pharaoh and his servants, and it became a serpent. 11 Then Pharaoh summoned the wise men and the sorcerers, and they, the magicians of Egypt, also did the same by their secret arts. 12 For each man cast down his staff, and they became serpents. But Aaron’s staff swallowed up their staffs..
18 Now when Simon saw that the Spirit was given through the laying on of the apostles’ hands, he offered them money, 19 saying, “Give me this power also, so that anyone on whom I lay my hands may receive the Holy Spirit.” 20 But Peter said to him, “May your silver perish with you, because you thought you could obtain the gift of God with money! 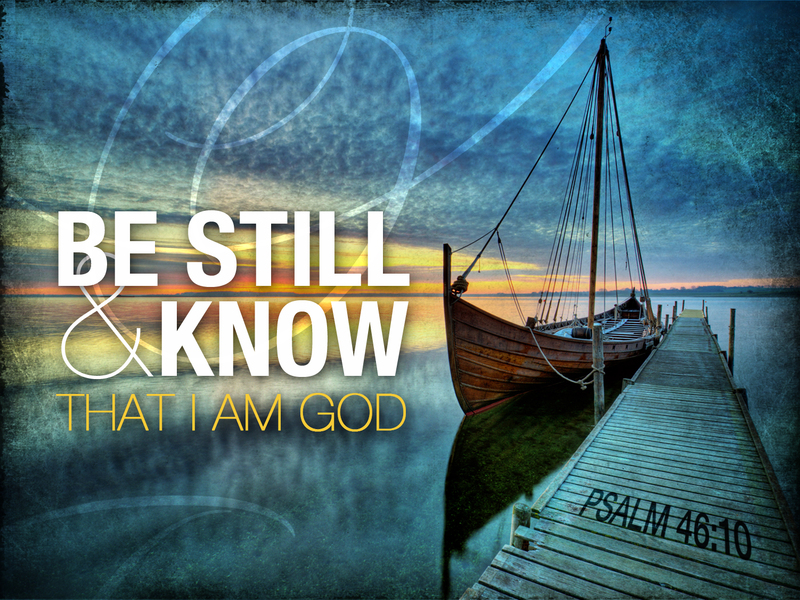 21 You have neither part nor lot in this matter, for your heart is not right before God. 22 Repent, therefore, of this wickedness of yours, and pray to the Lord that, if possible, the intent of your heart may be forgiven you. God used miracles to change the heart of Pharaoh and Simon the Magician could not receive the power of the Holy Spirit because his heart was not right with the Lord, when he sought to buy the Spirit from the disciples. Answer: The language of the Bible is rich with metaphor. The biblical writers used familiar, everyday objects to symbolize spiritual truth. Symbols are quite common in the poetic and prophetic portions of the Bible. By its very nature, poetry relies heavily on figurative language; when Solomon calls his bride “a lily among thorns” (Song of Solomon 2:2), he is using symbols to declare the desirability and uniqueness of the Shulamite. Prophecy, too, contains much figurative imagery. Isaiah often used trees and forests as symbols of strength (e.g., Isaiah 10:18-19; 32:19). Daniel saw “a goat with a prominent horn between his eyes” who “came from the west . . . without touching the ground” (Daniel 8:5), and we interpret this as a kingdom (Greece) and its king (Alexander the Great) who speedily conquered the world. Jesus’ teaching was full of symbolism. He presented Himself as a Shepherd, a Sower, a Bridegroom, a Door, a Cornerstone, a Vine, Light, Bread, and Water. He likened the kingdom of heaven to a wedding feast, a seed, a tree, a field, a net, a pearl, and yeast. There are dozens, if not hundreds, of other symbols in the Bible. Note that a literal interpretation of the Bible allows for figurative language. Here’s a simple rule: if the literal meaning of a passage leads to obvious absurdity, but a figurative meaning yields clarity, then the passage is probably using symbols. For example, in Exodus 19:4, God tells Israel, “I carried you on eagles’ wings.” A literal reading of this statement would lead to absurdity—God did not use real eagles to airlift His people out of Egypt. The statement is obviously symbolic; God is emphasizing the speed and strength with which He delivered Israel. This leads to another rule of biblical interpretation: a symbol will have a non-symbolic meaning. In other words, there is something real (a real person, a real historical event, a real trait) behind every figure of speech. 4 But the serpent said to the woman, “You will not surely die. 5 For God knows that when you eat of it your eyes will be opened, and you will be like God, knowing good and evil.” 6 So when the woman saw that the tree was good for food, and that it was a delight to the eyes, and that the tree was to be desired to make one wise,[a] she took of its fruit and ate, and she also gave some to her husband who was with her, and he ate. 7 Then the eyes of both were opened, and they knew that they were naked. And they sewed fig leaves together and made themselves loincloths. Welcome to Bloor Lansdowne Christian Fellowship on this, the last Sunday of October 2016. 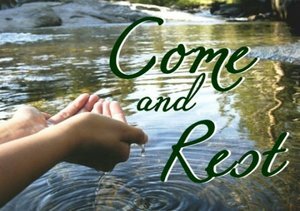 When John the Baptist came to the deserts of Judea “preaching a baptism of repentance for the forgiveness of sins” he was met with great success. 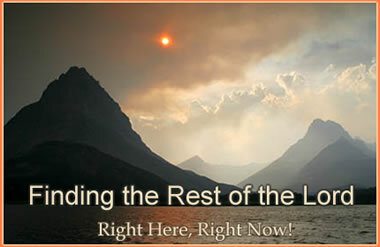 Matthew 3:5 says, “People went out to him from Jerusalem and all Judea and the whole region of the Jordan. Confessing their sins, they were baptized by him in the Jordan River.” Luke adds that crowds were coming out to be baptized by him. And, “When all the people were being baptized, Jesus was baptized too.” (Luke 3:7, 21). The Jewish people to whom John’s ministry was directed were familiar with the concepts of repentance and forgiveness of sins (1 Kings 8:33-34; Isa 55:6, 7) even though complete forgiveness was not possible apart from the shed blood of Christ (Hebbrews 9:15). But what about baptism? What familiarity did the Jews of the first century have with the practice of baptism? 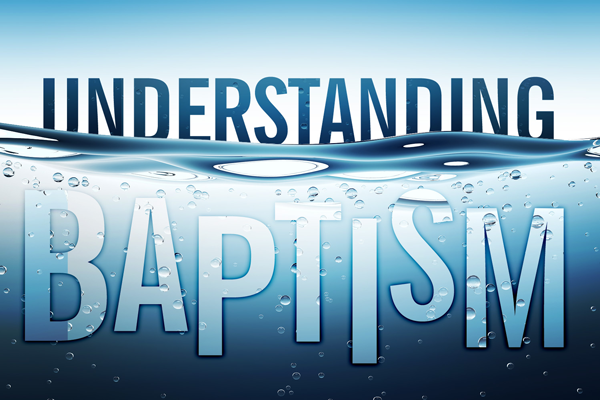 The New Testament clearly points out that the baptism of John was from God. It came from heaven (Matthew 21:25). It was administered for the spiritual purpose of proclaiming repentance and receiving forgiveness of sins (Mark 1:4). As believers in the Resurrected Christ, we know that our salvation comes as a gift from God, not from ritual works, so that we may not become prideful and boast. This brings us to our second set of Scripture verses found in Matthew 11. 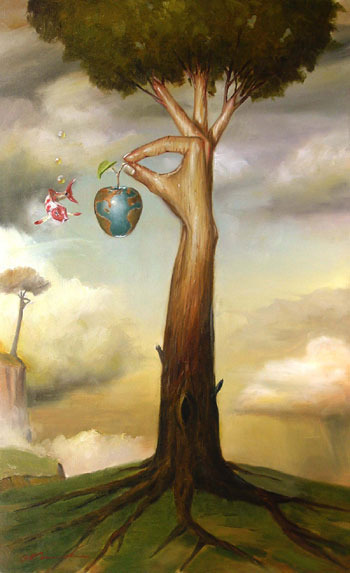 The problem of eating from the forbidden fruit from the tree of knowledge, which was desired to make one wise described in Genesis 3:6, is that resulted in a sin and separation from God. With our surrender to the Lord, we are gifted a rest in God’s Holy Spirit, as Jesus has taken upon himself the burden of our sins, giving us salvation as a free gift, and removing the burden of labouring in vain for our salvation. 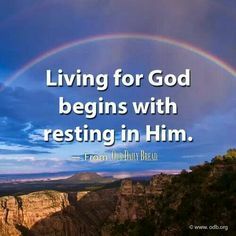 Living for God begins with resting in Him. Our lesson today, ’United in the Spirit While Completing the Assigned Task’, we look at the challenges a Christian believer faces, while following the path set by the Lord. Those challenges include avoiding any stumbling blocks that Satan places in the path that the Lord wishes us to follow. Satan loves nothing better than running interference to Christians’ understanding of the Lord, as we see in the various Scripture verses listed in today’s BLCF Church Bulletin. We see that instead of being elevated, their sin caused them a separation from God, along with guilt, shame and eventually ejection from the garden. The second of today’s featured Scripture verses, Genesis 11:1-9 (ESV), tells how following the Great Flood, humanity spoke the same single language, sought to build a great tower to heaven. The builders expected that the tower bring fame, unity of purpose, and help them from being scattered over the face of the earth. This second sinful act of arrogance that was an overt challenge to the authority of their Maker resulted in God bringing confusion of different languages among the builders of the tower. And the disparate languages, by their very nature, caused the people to scatter over the face of the world. In this account, James and John asked to share in the glory of the Lord, by being given seats on either side of Christ. Jesus replied that their request indicated an ignorance of what Jesus was expected to face, which is his suffering and death on the cross in order to fulfill God’s plan for reconciliation and forgiveness. In order to be glorified, Jesus needed to suffer the pain of judgement for the sins of all of humanity. As Day of Pentecost had not arrived, the disciples did not have the benefit of the presence of God’s Holy Spirit to help them discern the foolishness of their request. Capturing something powerful and elusive and then being able to hold it and show it to the world. Judas’ betrayal happened after the spirit of the devil came upon the disciple. The expectation of the betrayal was not to bring the person to the same level of the Lord. By accepting blood money for the Lord, Judas decided to elevate himself above Christ. The price of this elevation was 30 pieces of silver. your philosophy ] i.e., philosophy (or learning) in general. The emphasis here should be on “dreamt of”, as Hamlet is pointing out how little even the most educated people can explain. But the great minds can only postulate theories based upon their limited understanding of the nature of the world. And what is a theory? Synonyms: idea, notion hypothesis, postulate. Albert Einstein, who was considered one the world’s greatest minds, authored the theory of relativity, based upon astute observations of the natural behavior. Einstein, who described himself as an agnostic with respect to the existence of God, advanced a theory to replace Sir Isaac Newton’s Laws of Nature. Newton is a firm believer in God. Following his research on general relativity, Einstein entered into a series of attempts to generalize his geometric theory of gravitation to include electromagnetism as another aspect of a single entity. In 1950, he described his “unified field theory” in a Scientific American article entitled “On the Generalized Theory of Gravitation”. Although he continued to be lauded for his work, Einstein became increasingly isolated in his research, and his efforts were ultimately unsuccessful. In his pursuit of a unification of the fundamental forces, Einstein ignored some mainstream developments in physics, most notably the strong and weak nuclear forces, which were not well understood until many years after his death. Mainstream physics, in turn, largely ignored Einstein’s approaches to unification. Einstein’s dream of unifying other laws of physics with gravity motivates modern quests for a theory of everything and in particular string theory, where geometrical fields emerge in a unified quantum-mechanical setting. There are aspects of our nature that fall beyond the scope of the physical universe, such as mercy, love, grace, and kindness. All are given in reward to faith, us to be seated by Christ. God has granted humble believers a way, through Jesus, to be raised up to be with the Lord, without the help of forbidden fruit, elaborate towers, or a request that put the Lord to the test. Let us take joy in all the He has given us. 1 That which was from the beginning, which we have heard, which we have seen with our eyes, which we looked upon and have touched with our hands, concerning the word of life— 2 the life was made manifest, and we have seen it, and testify to it and proclaim to you the eternal life, which was with the Father and was made manifest to us— 3 that which we have seen and heard we proclaim also to you, so that you too may have fellowship with us; and indeed our fellowship is with the Father and with his Son Jesus Christ. 4 And we are writing these things so that your joy may be complete. 4 But[a] God, being rich in mercy, because of the great love with which he loved us, 5 even when we were dead in our trespasses, made us alive together with Christ—by grace you have been saved— 6 and raised us up with him and seated us with him in the heavenly places in Christ Jesus, 7 so that in the coming ages he might show the immeasurable riches of his grace in kindness toward us in Christ Jesus. Welcome to Bloor Lansdowne Christian Fellowship, ministering the Gospel in the heart of Toronto, on this, the last Sunday of August 2014. 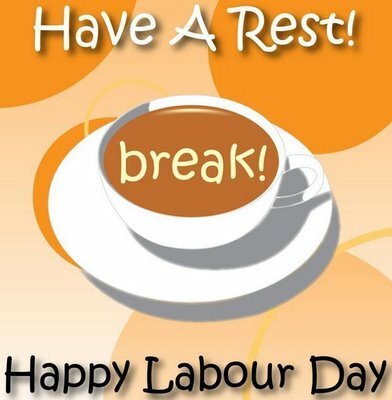 A day that falls in the middle of the Labour Day Weekend, where most Canadians traditionally mark the end of their summer vacations and a return to work and school. 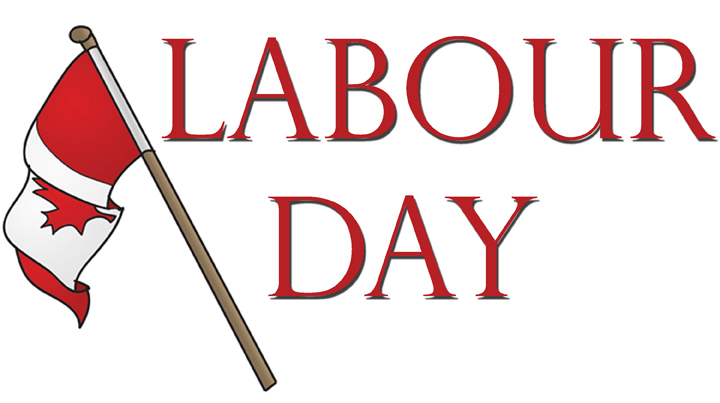 The origins of Labour Day can be traced back to April 15, 1872, when the Toronto Trades Assembly organized Canada’s first significant demonstration for worker’s rights. The aim of the demonstration was to release the 24 leaders of the Toronto Typographical Union who were imprisoned for striking to campaign for a nine-hour working day. At this time, trade unions were still illegal and striking was seen as a criminal conspiracy to disrupt trade. In spite of this, the Toronto Trades Assembly was already a significant organization and encouraged workers to form trade unions, mediated in disputes between employers and employees and signaled the mistreatment of workers. The practice of baptism in pagan religions seems to have been based on a belief in the purifying properties of water. In ancient Babylon, according to the Tablets of Maklu, water was important as a spiritual cleansing agent in the cult of Enke, lord of Eridu. In Egypt, the Book of Going Forth by Day contains a treatise on the baptism of newborn children, which is performed to purify them of blemishes acquired in the womb. Water, especially the Nile’s cold water, which was believed to have regenerative powers, is used to baptize the dead in a ritual based on the Osiris myth. Egyptian cults also developed the idea of regeneration through water. The bath preceding initiation into the cult of Isis seems to have been more than a simple ritual purification; it was probably intended to represent symbolically the initiate’s death to the life of this world by recalling Osiris’ drowning in the Nile. In the cult of Cybele, a baptism of blood was practiced in the rite of the Taurobolium: where one was covered with the blood of a bull. At first this rite seems to have been to provide the initiate with greater physical vitality, but later it acquired more of a spiritual importance. A well-known inscription attests that he who has received baptism of blood has received a new birth in eternity. However, the fact that this baptism was repeated periodically shows that the idea of complete spiritual regeneration was not associated with it. The property of immortality was also associated with baptism in the ancient Greek world. A bath in the sanctuary of Trophonion procured for the initiate a blessed immortality even while in this world. The mystery religions of that period often included ablution rites of either immersion or a washing of the body for the purposes of purification or initiation. Other concepts said to have been associated with these forms of cultic baptisms included the transformation of one’s life, the removal of sins, symbolic representation, the attainment of greater physical vitality, a new beginning, spiritual regeneration. It is believed that all ancient religions recognized some form of spiritual cleansing, renewal or initiation that was accomplished through a washing or immersion in water. 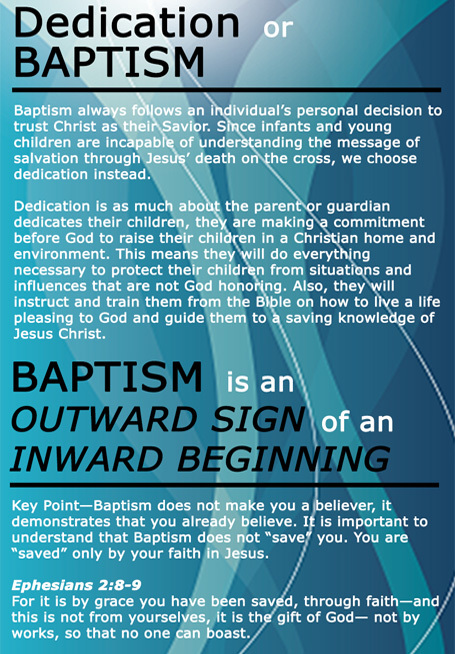 We do not believe that the practice of baptism for the remission of sins as taught in the New Testament was based in any way on the Old Testament, however the Old Testament washings with or in water that were for the purpose of physical cleansing can be seen as a type or shadow of New Testament baptism, which is for the purpose of spiritual cleansing (1 Peter 3:21). Toward the beginning of the Christian era, the Jews adopted (as a custom unrelated to Divine guidance) the custom of baptizing proselytes seven days after their circumcision. A series of specific interrogations made it possible to judge the real intentions of the candidate who wished to adopt the Jewish religion. After submitting to these interrogations, he was circumcised and later baptized before witnesses. 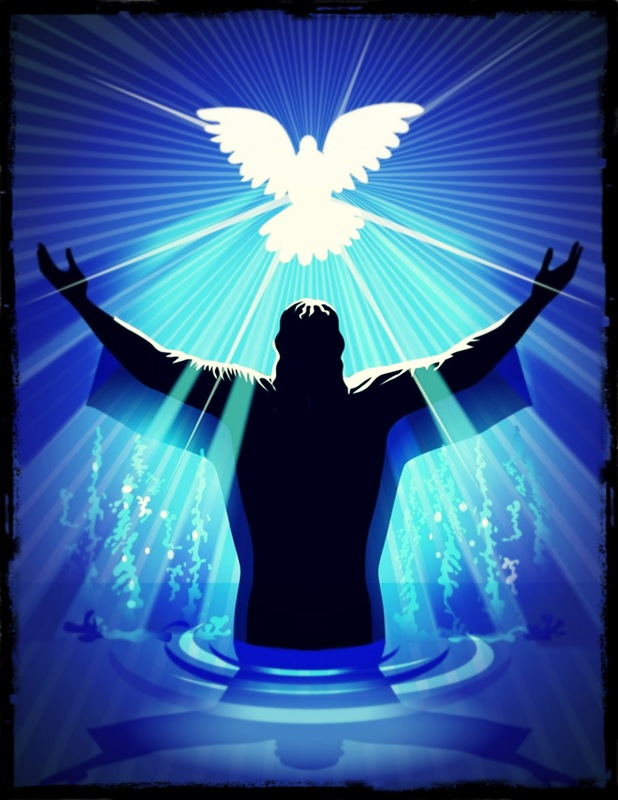 In the baptism, he was immersed naked in a pool of flowing water; when he rose from the pool, he was a true son of Israel. After their baptism, new converts were allowed access to the sacrifices in the Temple. Prior to the baptism of believers in the Resurrected Christ by the Holy Spirit after Pentecost, Jews practiced the rituals of circumcision, sacrifice and baptism in an effort to cleanse themselves of unrighteousness. Early Christians continued these practices. Remember in Galatians 2:11-21, the Apostle Paul, with the help of the Spirit, convinced Cephas (Peter) that circumcision of the Gentile believer was an unnecessary requisite for conversion to the Way of Christ or the Christian Faith. 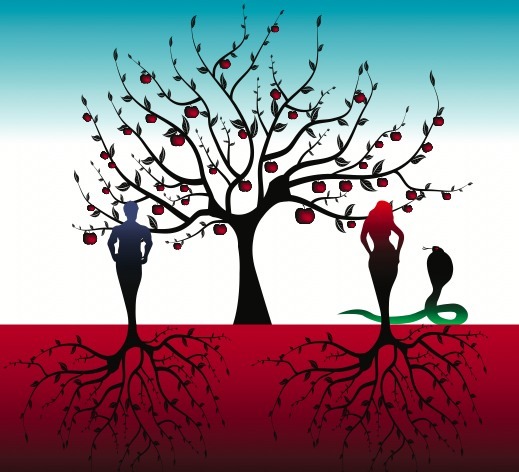 The problem was the eating the forbidden fruit from the tree of knowledge, which was desired by Eve (and Adam who was with her), to make oneself wise described in Genesis 3:6, a sin that resulted in a separation from God. With our surrender to the Lord, we are gifted with a salvation from judgment, sanctification from the stain of sin, and a rest in God’s Holy Spirit. For Jesus has taken upon himself the burden of our sins so that we may rest, unfettered by the burden of labouring in vain for our own salvation. 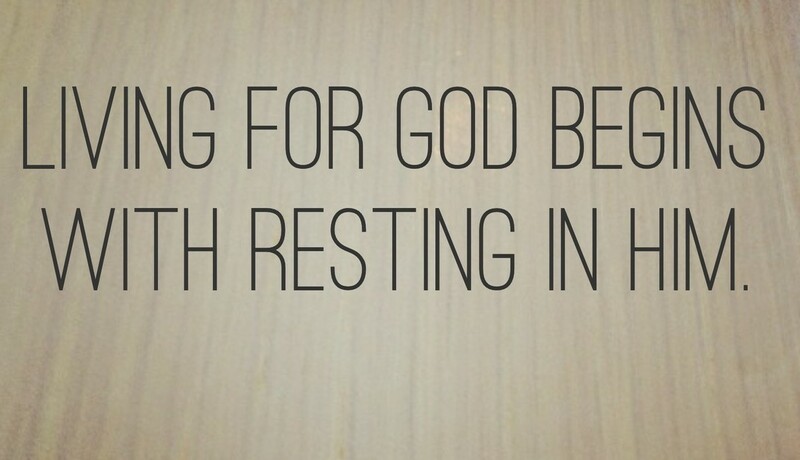 Living for God begins with resting in Him in faith.